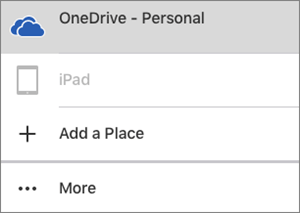 When you use Office apps on your mobile device, the changes that you make are saved automatically in the cloud location of your choice. As you work in the file, your changes are automatically saved for you and your documents are saved periodically, even when you are offline. Note: You'll see the status in the file title every time changes are automatically saved. 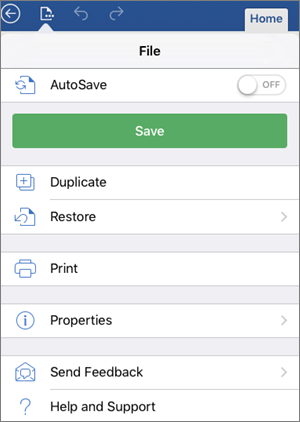 On your Android device, you can choose where your file will be saved, rename a file, and if you prefer, turn off the Auto Save feature. 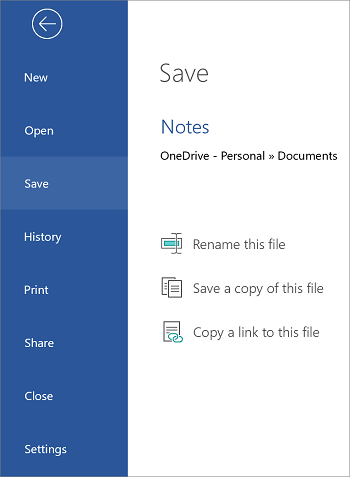 When you first create your file, you'll see options for where you can save it. You can change your file's location even after it's been created. Tap File > Save As. Tap the new location for the file, and then tap Save. As you continue to work in the file, changes are automatically saved for you. You won't see a Save button in the header when the auto save option is on. If you'd rather not have Office auto save for you, you can turn off this setting and save manually. Move the Auto Save slider to Off. When Auto Save is turned off, you'll see the Save button in the file header. 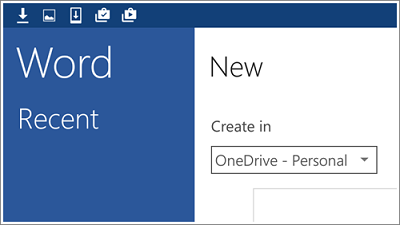 Office automatically saves files when you first create them, which means they're also given a name. 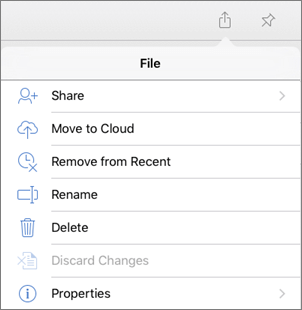 You can change the title of your file at any time by tapping the file title and typing in a new name. You can also save a copy of the file and give it a new name. Type the new name, and then tap Save. 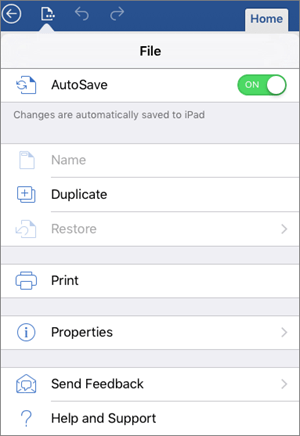 On your iPad or iPhone device, you can choose where your file will be saved, rename your file, and if you prefer, turn off the Auto Save feature. Tap the File icon, and then tap Name. In the Name box, type a name for the file. Select a location for the file. In the upper-right corner, tap Save. You can move your file to the cloud after you create it locally. Open your file and then tap the back arrow. Tap the File icon, and then tap Move to Cloud. In the upper-right corner, tap Move. As you continue to work in the file, changes are automatically saved for you. 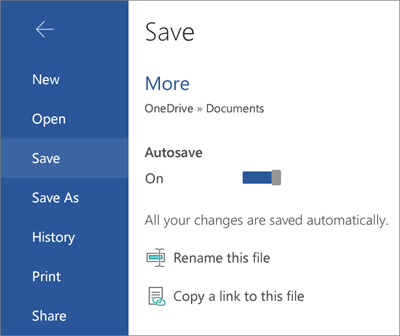 You won't see a Save button on the file menu when the auto save option is on. If you'd rather not have Office auto save for you, you can turn off this setting and save manually. When Auto Save is turned off, you'll see the Save button on the File menu. 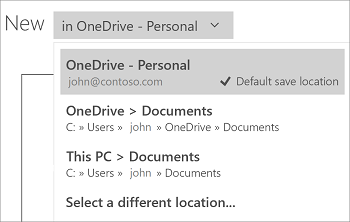 Office automatically saves files when you first create them, which means they're also given a name. You can change that name at any time. Tap the File icon, and then tap Rename. Type a new name for your file. In the upper-right corner, tap Rename. Tap the File icon, and then tap Duplicate. Type the new name in the Name box. Tap a location for the new file. In the upper-right corner, tap Duplicate. 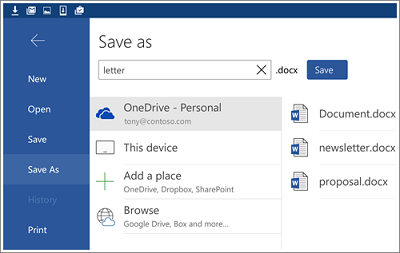 On your Windows device, you can choose where your file will be saved or rename your file. Tap Save a copy of this file. Tap the new location for the file. If you like, you can give it a new name.